Introducing the Isolda Stylus Ballpoint Pen, a dual action choice for the tech savvy corporate gift opportunity. Encased in its stylish sleek curves is a twist action, retractable ballpoint as well as a stylus for use on courier's scanners. Black ink is delivered from a quality refill. 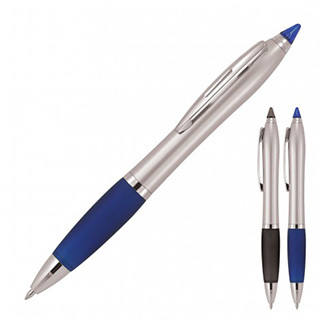 This plastic promotional pens can be printed with a logo to create a professional branded product. Please note, the stylus doesn't work with tablets or smartphones.